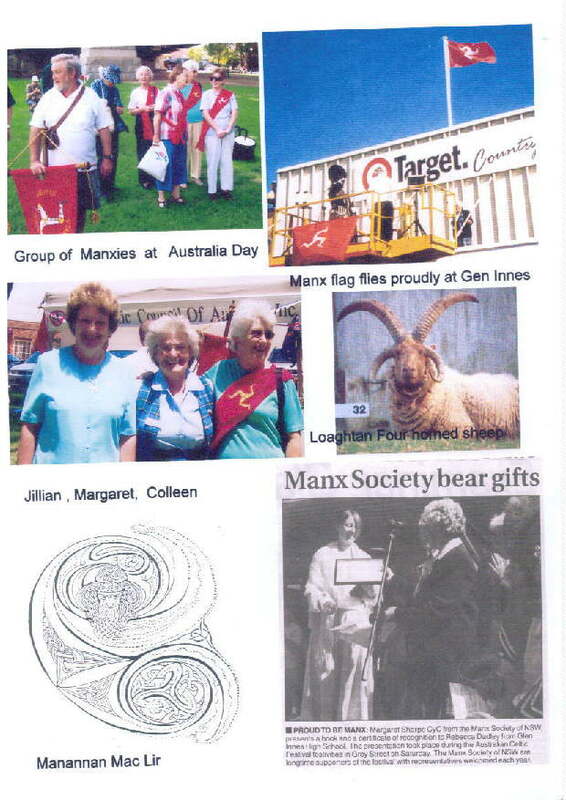 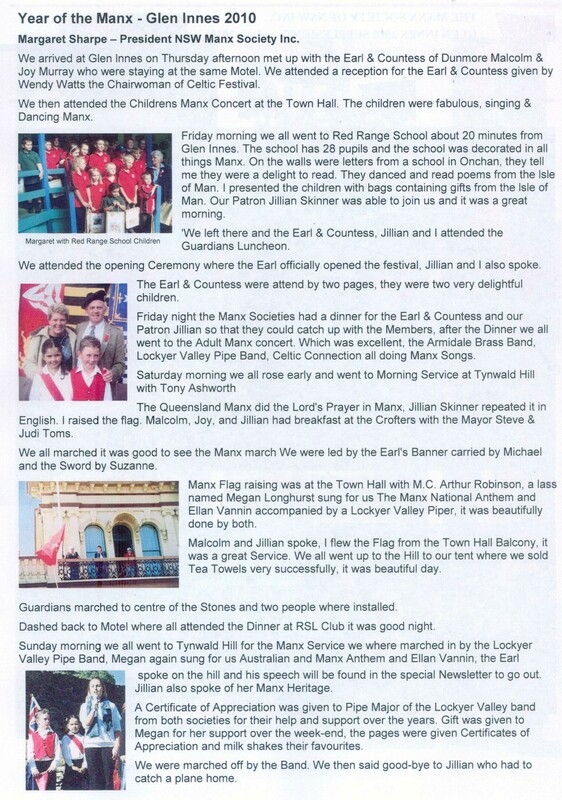 The Manx Society of New South Wales was originally formed in 1914, went for many years and then closed down - reopened from 1960 to 1969, closed down, and again reopened in 1984 - and continues today. 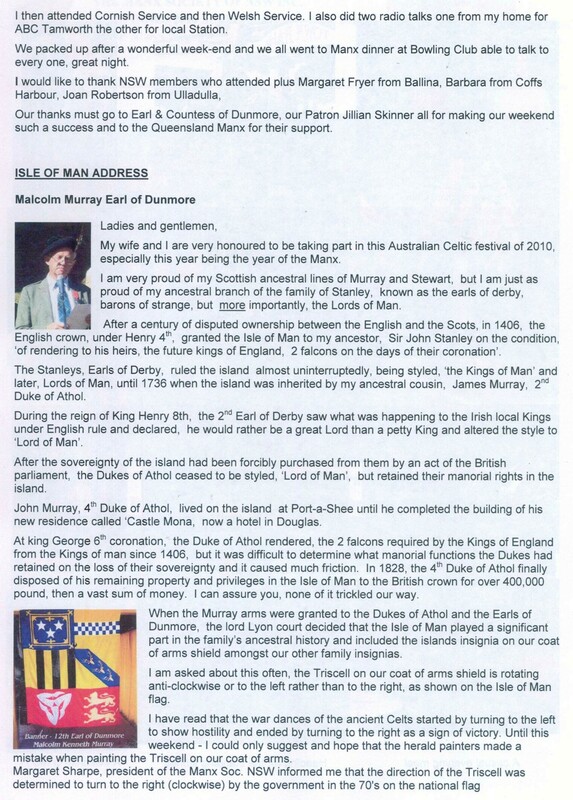 We meet at Drummoyne Senior Citizens Centre in Sydney, bi-monthly - From January etc. 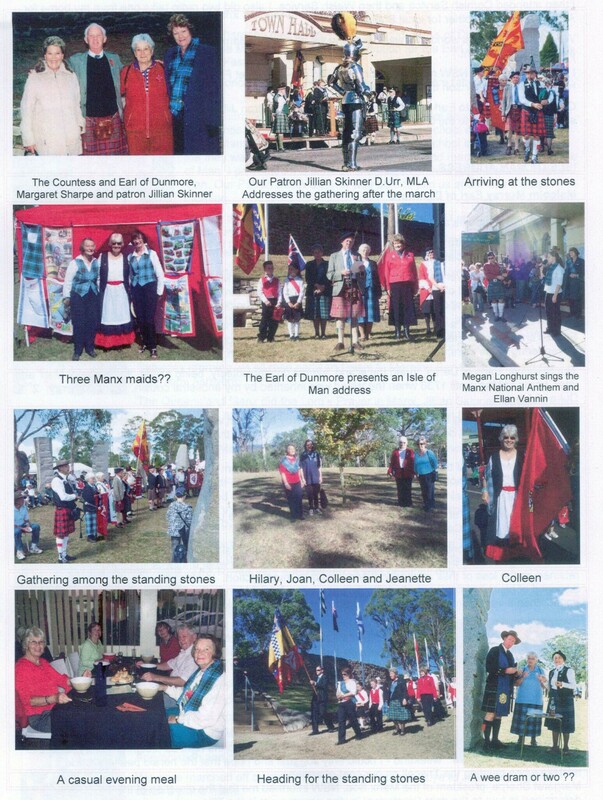 We attend Celtic Festivals like Australia Day at Milson's Point, the Australian Standing Stones at Glen Innes (where have a 'Tynwald Hill' and Manx Stone). 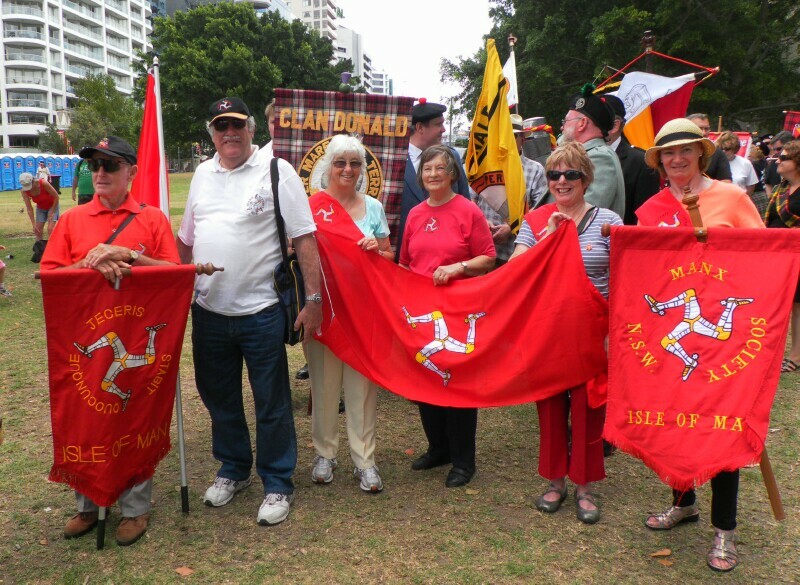 We meet up with Queensland Manx and have a Manx dinner on the Saturday night. 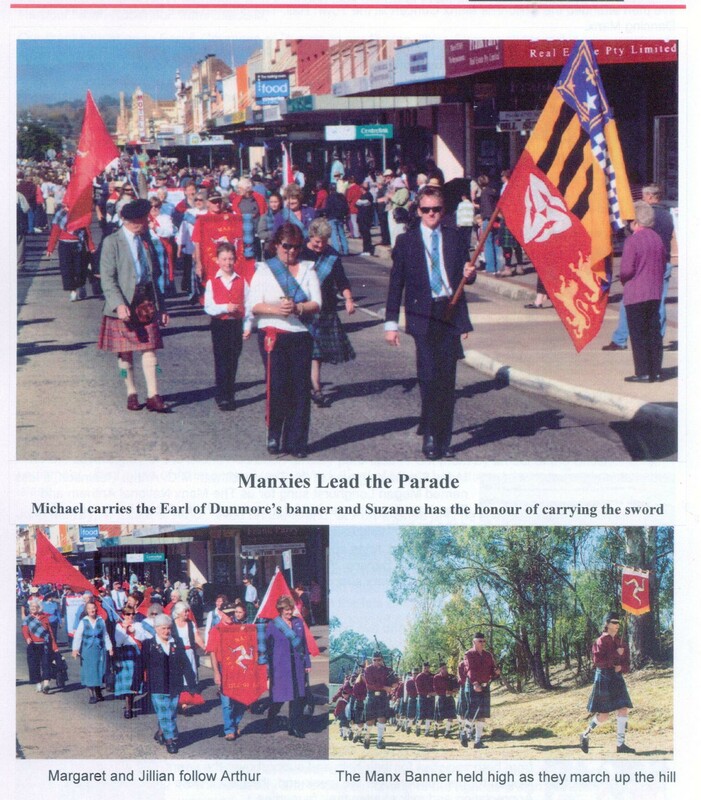 Each year in Glen Innes the Festival is held the first weekend in May. 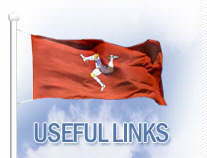 We celebrate Tynwald Day, a picnic in January, Christmas luncheon in December (1st Saturday).